Today’s college student expects reliable access to high-speed internet access; it’s something they’ve always had and something they most certainly expect when they head off to college. So as high school juniors and seniors begin their college tours searching for the perfect school, the check-box after dining hall quality is now Wi-Fi. 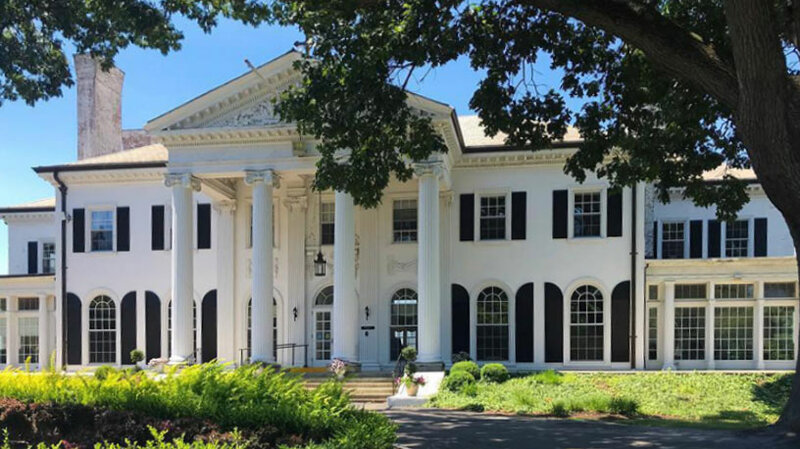 For Albertus Magnus College in New Haven, Connecticut, upgrading their wireless infrastructure to meet student demand became paramount. The 50-acre college campus is comprised of several early 19th century mansions recognized for their beautiful Early-American architecture, ornate stonework and bunker-like construction which have been converted into administrative buildings and residence halls. The old-school construction and prevailing stone contributed to radio frequency (“RF”) interference for Wi-Fi signals throughout the campus. Furthermore, students and faculty mobile devices continued to add to the already congested network. Albertus Magnus College also realized that their legacy network hardware was not sufficient enough to meet the demands of a typical 2018 college student that expects fast internet access for interactive lesson plans, web-based learning and the occasional Fortnite or Netflix binge. The Information Technology department was spending hours troubleshooting spotty coverage issues and on-boarding new devices to the network every Fall. Ultimately, inadequate wired/wireless networks did not align with the goal of fostering a 21st century learning environment that prospective students sought after. A new solution was quickly needed. Concrete and stone construction: 19th century construction created pervasive RF challenges for continuous wireless coverage across campus. Outdated network hardware: Legacy switching and wireless APs were insufficient to deliver required throughput for high-density and ubiquitous access. Structured Cabling: Fiber and copper data connections were old and incapable of delivering adequate network bandwidth; 1800’s building material posed a cabling nightmare. Small IT Staff: IT Support Team does not have manpower to constantly contend with spotty wireless coverage; operational initiatives were sidelined due to constant network management. Budget: create a new solution to address structured cabling, switch and indoor/outdoor wireless network upgrades within a reasonable budget. TBNG Consulting of Milford, Connecticut was selected by Albertus Magnus College to design and implement a highly reliable yet scalable campus wireless solution. Single vendor: standardize on a single hardware platform and vendor to minimize related management headaches and to maximize on future upgrades and software. 10/40GBE Switching Fabric: TBNG deployed a 40GBe server backbone coupled with 10GBe distribution links to remote buildings for data backhauls. This was an essential ingredient for upgrading local speed and providing future scalability. Ruckus Wireless indoor/outdoor access points: industry-leading gear that can establish a cohesive 11ac Wave 2 Wi-Fi Access Point for dense device environments. The initial steps of this project required a detailed understanding of existing network technologies, structured cabling, building layouts, and other environment details. 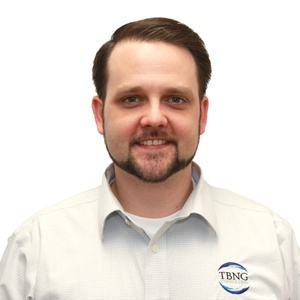 TBNG’s project team performed a number of network assessments and site surveys to fully understand the client’s network, pain points, and stated goals to attain. Diagram existing WAN/LAN network – TBNG began with the development of detailed network diagrams of the client’s existing WAN/LAN topology. This provided TBNG engineers insight of data traffic paths and identified equipment that needed to be replaced or re-deployed. Wireless RF Survey - Since Albertus Magnus required a hybrid of indoor/outdoor wireless APs spread across 50-acres and 13 campus buildings, all with varying building materials and physical obstructions, our project team performed a room-to-room heat mapping with determine optimal AP placement and the model assignment. This assessment was conducted across the span of 4 weeks and was a critical part of developing the final count of indoor and outdoor access points. Structured Cabling Assessment – The deployment of a 10GBE backbone throughout the campus coupled with 40GBE links between the critical server and distribution paths were mapped out. Furthermore, all existing fiber was tested, and new single mode fiber cabling was installed where necessary. Finally, new access point cable drops were wired with CAT-6 to ensure optimal through-put. allowed the signal to penetrate high-density walls to deliver rich, powerful and reliable wireless signal in areas where concrete and stone would typically be problematic. Technology allowed modern classroom settings to utilize less access points, minimizing cost while maintain strong signal strength in high-density areas. Ruckus ICX ZP series layer 3 switches provide gigabyte and multi-gig capabilities throughout the campus. 10GBE fiber enabled switches allowed all wired/wireless connection speeds to be predictable, reliable and high-performing throughout the 50-acre campus. Ruckus Networks SmartZone controllers (in high availability) manage the APs and provide insight into the campus switching. To connect all IDF/MDF network closets with 10GBE internet speeds, new 10GBE MM fiber was required in a variety of areas across the campus. Just prior to the start of the 2018 school year, Albertus Magnus was able to activate a brand new end-to-end wired/wireless network. The end result was beyond their wildest expectations.